Bringing Piano Lessons to the next level. 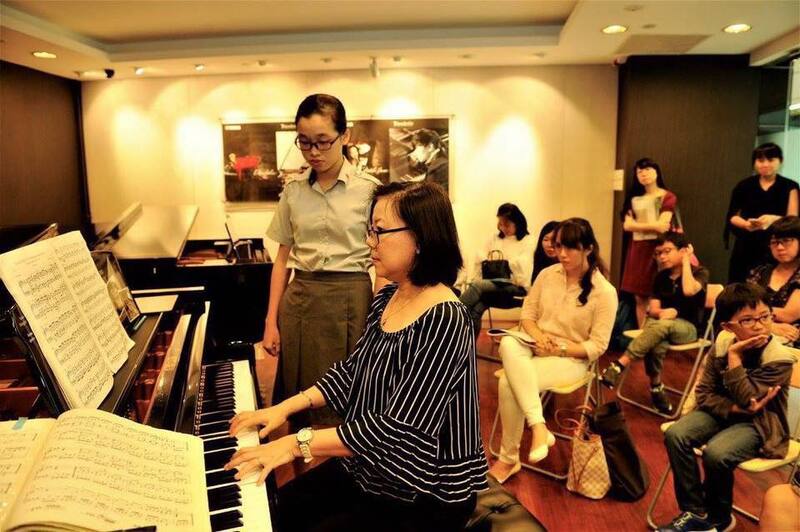 Principal Piano Teacher, Ms. Dorothy Chia, has taught piano for over 20 years in Singapore. With studios located at Potong Pasir, Woodlands and Seletar Hills, you can easily find a studio location that is closest to your home. Piano Lessons range from beginners to advanced Piano Diploma. Ms. Dorothy Chia obtained her Master of Music in Piano Performance and Pedagogy from the acclaimed University of Michigan, Ann Arbor. She is the 1992 winner of the prestigious DH Baldwin Fellowship, and is currantly the only Singaporean to hold this award. 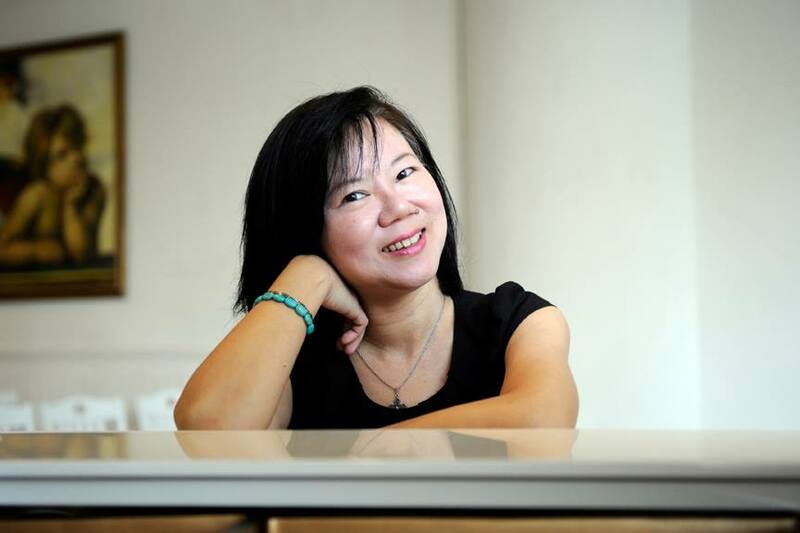 Ms. Dorothy Chia also specialises in coaching and mentoring piano teachers in Singapore. She is the author of Piano Pedagogy- The Questions and The Answers, a must have workbook for teachers working on their viva voce component of the teaching exams, & Theory Explorer, a set of 2 theory books for music beginners aged 4-7. Young beginners aged 3.5 - 4 years old will be put on the Music for Little Mozarts. I teach students who are curious, want to learn and work hard at their own learning. This includes students who are teachers, adult students or 4 year old beginners. I believe in a holistic approach to music. This includes studying Music History, Form and Analysis, Composition, Music Theory on top of Piano Performance. Only by understanding what is written on the score can a student best bring out the intent of the composer. It is never enough to just play the notes. Music must be felt. And only when it is felt, does the performer have the ability to convey and move the listeners. Piano Studies with me will include music of all genres. Classical, Jazz or Popular. I believe in building musicianship. The joy in the learning always lies with the music. If students enjoy the music, then they will find joy in playing them at home. I believe that to learn well, one must put in dedicated amount of practise at home so that each lesson moves one's playing up from strength to strength. Piano Practise at home is a matter of good time management. A student can practise more when there is a lull in school and practise less when there is exams in school. But a choice in learning the piano must include a choice to find time to work on the skill. Piano lessons will encompass music from Tutor books, classical repertoire, studies, finger excercises, aural, sight reading and music theory. I do not believe that learning piano is merely restricted to the learning of the ABRSM examination pieces. This is chasing short term ends: the certificate. The certificate must be secondary to cultivating musicianship. If I groom a well rounded musician, then the certificate will definitely follow, and not the other way around. While I support talented students to participate in music festivals and competitions, I also believe that piano learning is for the super gifted and the not so gifted. In my piano studios, I hold student concerts every other year. Every student participates. This inclusive approach of mine is intentional as it gives every student a milestone to work for. A student concert where every student is a star, the audience comprising of parents and friends is supportive, and music learning elevates to a bigger purpose of sharing one's music. I champion Piano Pedagogy. The systematic coaching and mentoring offered to newbie piano teachers who wish to make piano teaching a career. To be a successful piano teacher entails studying, improving one's own performance (Diploma in Piano Performance), and teaching practicum and case studies (Diploma in Piano Teaching). 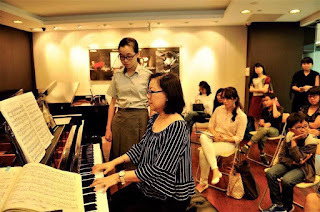 I enjoy one-on-one coaching and mentoring as it allows each piano teacher to work on their respective strengths. In Forte Music Training Piano studios, every student is groomed as into a Musician. They can choose to pursue Music as a hobby or make it a career after they leave my studio. I train the musician, and the certificates that they acquire, is a by product of their hardwork. Dorothy does not believe in hot housing very young piano beginners. Your child will grow and develop holistically with an all rounded Music Education that will serve them well into their adult years. Dorothy believes in inculcating passion in Music that is beyond the exam room. Dorothy believes that your child can be a confident performer. Through Music, your child will learn to be creative, disciplined, sensitive and appreciates the aesthetics of life. Forte Music Training was founded by Dorothy Chia on 1 July, 2014.